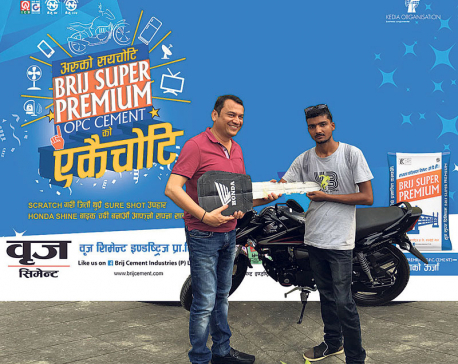 KATHMANDU, July 17: Brij Cement has introduced a new consumer scheme, named ‘Aruko Saya Choti, Brij Super Premium Cement Ko Ekaichoti’, for its consumers. Issuing a statement, the cement producer said that the scheme offers consumers a chance to win attractive prizes like Honda Shine Bike, refrigerators of Samsung, mobile phones, vacuum cleaner, fan, among others, through a scratch card. 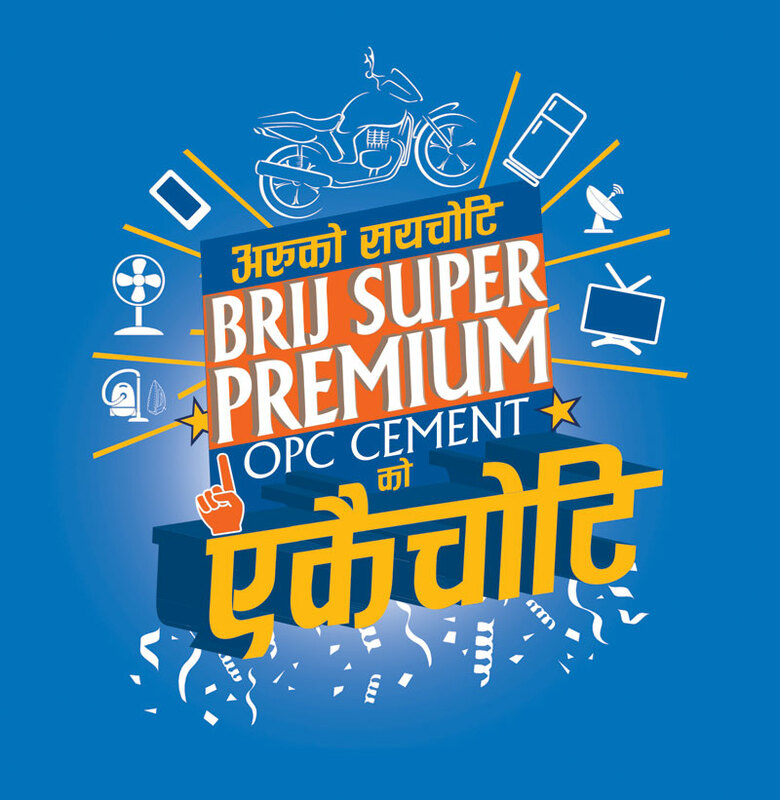 Consumers buying a minimum of 25 sacks of Brij Cement get the scratch card, according to the statement.